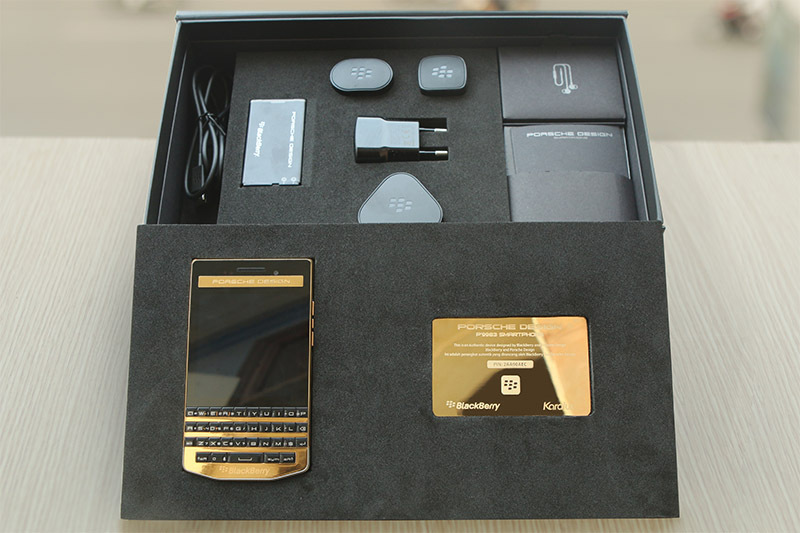 Karalux – specializing customizing phones, gifts and gold-plating supercars – continue unveiling the world’s first luxurious 24K gold-plated BlackBerry Porsche Design P’9983 version for businessman. Forged in stainless steel and plated in luxurious 24k gold, rose gold by Karalux. The Passport Smartphone from BlackBerry® combines a large high resolution touch screen with a unique touch-enabled physical keyboard. The BlackBerry passport delivers the best battery performance to date with up to 30 hours of battery life. It comes with 3GB of RAM, 32GB of internal storage plus 128GB MicroSD card and a 13MP OIS Camera. Already own a BlackBerry P’9983? Go to our bespoke gold plating section and let us embellish it with 24k gold, rose gold or platinum.